Resource Global Network a greater understanding of African markets amongst the London investor as the chief reason. Tlou then made a third listing on an international exchange in 2017, this time turning to the domestic market in Botswana. â&#x20AC;&#x153;We listed on the BSE because we wanted to allow Botswana-based funds to invest in the company,â&#x20AC;? says Gilby. Independently certified gas Another significant milestone was achieved in 2016 when Tlou achieved the first independently certified gas reserves from CBM in Botswana, which have since been estimated at up to 3.2 trillion cubic feet (tcf). CBM is a form of natural gas extracted from underground coal seams. The gas freely flows to the surface once the naturally occurring water pressure from within the coal is reduced by pumping. Tlouâ&#x20AC;&#x2122;s aim is to turn its extensive gas reserves at Lesedi into a source of reliable, clean power for a region which is struggling to meet increasing energy demand. The Southern African Development Community (SADC) unites approximately 342 million people from 16 countries into one intergovernmental body and also provides a common power grid for much of the region, which is maintained by the Southern African Power Pool (SAPP) - a cooperation of national electricity companies from SADC. as diesel and coal, with the former being imported at a high cost. 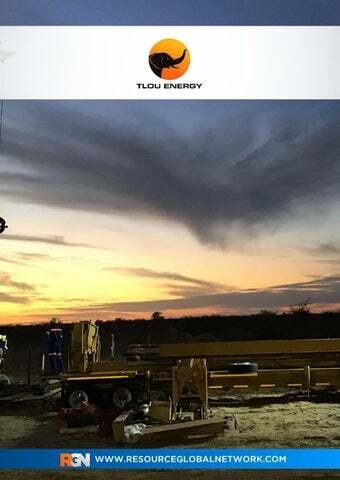 OIL & GAS | Tlou Energy Tlou received a request for the supply of up to 100MW of CBM from the government of Botswana, in a clear indication that the project is a central part of plans to expand and diversify the country’s energy mix. Prior to this government tender, Tlou became the first company in Botswana to be granted a mining licence for a CBM project and was also the first to be awarded with an environmental impact statement for a project of this type in the country. “Environmental regulations in Botswana are very strict and very comprehensive. It took over two years to get our environmental impact statement approved,” Gilby reveals. 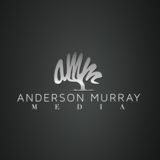 located in an area that has been identified for initial project development. Combining gas and solar In addition, Tlou has also planned for the integration of a solar facility at the Lesedi project. “The concept is that an additional solar plant could be bolted on at little additional capex, and it would become an interesting demonstration plant for gas and solar combined facilities. “We’re very excited about the possibility of producing solar energy combined with the base load/peaking potential of our gas,” adds the CEO and MD. At the time of writing, Tlou is in the process of having the dual lateral pods dewatered at Lesedi, after which the wells will reach gas flow point in the coming months. Once they are up and running, Tlou hopes to achieve full environmental approval for the downstream facilities, with landholder approval also required in that process. All of this is anticipated in Q2 19. “The next step is to finalise our PPA/tender with the Botswana government. We are looking at joining the SAPP as an independent producer in any event, and one of those two needs to come to fruition in order for us to join the grid, providing power to Botswana and exporting it to the SAPP.” Tlou is also exploring other potential workstreams for its CBM product, which is a highly versatile gas that can be used across many industries, including in petrochemicals and fertiliser and ammonia production. security and job creation,” Gilby proclaims. primary concern across the nation. Lesedi CBM project – clean, reliable power and job creation for Botswana and the wider region of Southern Africa.